(CBS/AP) JONESBORO, Ark. - The "West Memphis Three," a group men convicted of killing three 8-year-old Cub Scouts and dumping their naked bodies in a ditch, have been allowed to change their pleas and will be freed after nearly two decades in prison. Damien Echols, Jason Baldwin and Jessie Misskelley pleaded no contest Friday. The three agreed to a legal maneuver that lets them maintain their innocence while acknowledging prosecutors likely have enough evidence to convict them. 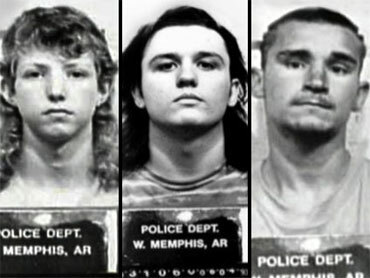 In 1994 the men were convicted of killing Steve Branch, Christopher Byers and Michael Moore a year earlier and leaving their naked bodies in a ditch in West Memphis, Ark. Echols was sentenced to death. Misskelley and Baldwin were ordered to spend the rest of their lives in prison. Misskelley initially confessed, but defense attorneys claim police took advantage of his low IQ.